Day 2 of the LIL conference sees us at a hillside bar overlooking Haifa Bay for a chat with the founder one of the most newsworthy success stories to come from Israel of late – Fiverr. Billed as a “social marketplace”, Fiverr lets enterprising individuals post up tasks that they are willing to carry out for $5. These range from the practical – logo creation, personalised messages, IT support – through to the utterly bizarre. A short browse reveals the following offers: “I will sing Happy birthday to you in Welsh, wearing only a thong and woolly hat for $5“, “I will make headphones out of marshmallows for $5” and, our favourite: “I will feed your message or business to my goat for $5“. But what at first seems to be no more then a quirky novelty site belies a laser-guided marketing strategy and impressive financial backing: Fiverr raised $15 million Series B funding from Accel Partners and Bessemer Venture Partners in May this year, raising total funding to $20m. 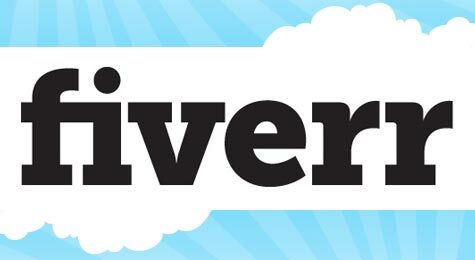 Since its launch in 2009, Fiverr has become one of the top 150 sites in the US, nestling somewhere between Disney and TechCrunch. It’s used in over 200 countries (the US, UK and Australia yielding the most users) and now hosts over 1 million “gigs” online, easily searchable by category, subject-matter and rating. It has grown a massive 600 per cent since its Series A funding in 2011 and now has 48 employees and is on the verge of opening a full-scale operation in the US. This strategy can be seen in the way Wininger (whose background in design and branding) and his team set about raising public awareness of the Fiverr. Instead of spending on SEO or PR, they approached viral YouTube stars to make them aware that they could make money from their talents on their platform. The quirky, often hilariously bizarre “gigs” that people posted also screamed shareability, and were also a gift for news pieces – the company got covered on US national TV just two weeks after launch. “And that’s the sort of marketing that you just can’t buy,” Wininger says. This year is all about global expansion for Fiverr. The company is setting up offices in New York’s financial district and looking to hire the best talent from the global marketplace giants. 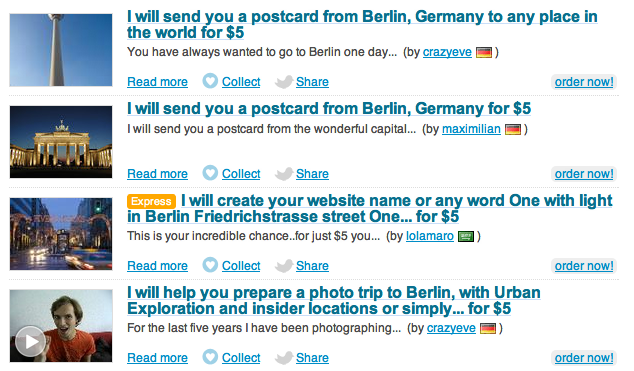 Interestingly, Fiverr looked at starting up offices in Berlin but “couldn’t find the right people or support”. Also, as the site launches localised versions in different languages, perhaps unsurprisingly, the biggest worry for the German market was what the tax issues would be: “It was funny – nearly all our queries were about how this would be filled in on their tax declaration,” Wininger laughs. But the branding strategy doesn’t end there. In January this year, Fiverr launched a kind of gamification to the mix: “Levels” is a reputation-based system for more serious entrepreneurs to establish themselves. After ten successful, user-rated transactions, users can charge more for their services. Wininger says that now over 30 per cent of Fiverr transactions are greater than $5, with 14 per cent of users listing Fiverr as their primary income.